Registration certificate №RZN 2013/243 from 04.04.2013 yr. Vacuum immobilization bone splints applied in suspected fractures of the upper and lower extremities; to create nonmotility for damaged limbs during transportation from the place of injury to hospital in massive damage of the soft tissues of the extremities during external bleeding. Bone splints are used to assist skilled and unskilled personnel in self – and mutual assistance, first aid , first medical aid. · “SPF – Medtech” UCm – designed to immobilize the upper limbs in children (small) : 412×265 mm. Bone splint can be maintained and stored at ambient air temperatures from -50 ° C to +50 ° C. Bone splint weight works out from 450 g to 1150 g, depending on the purpose. Maximum operating uncharging – 20 mm Hg. Radiography is possible without removing the bone splint. 4.1. Vacuum bone splint sets (USA-2, USCm-2, USCm-2) are formed on the customer’s request using the following bone splints: bone splint LA, UULm bone splints, bone splint UCm, LCm bone splints, bone splints UCm. 4.2. Vacuum pump manual – 1 pc. 4.3. Transport case – 1 pc. 5. Usage procedure of the bone splint. 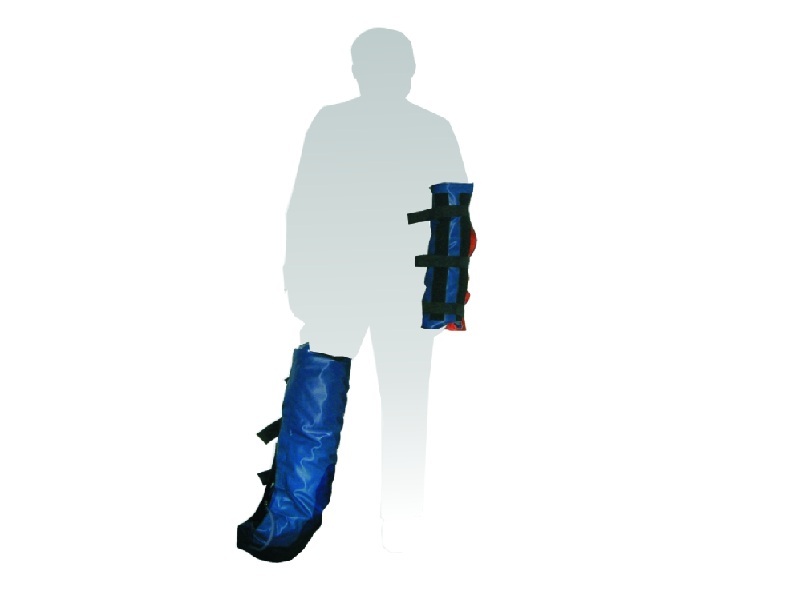 Splinting does not provide for removal of clothes and footwear. In case of open fractures or cuts, you should first apply sterile bandage to the wound, and then the bone splint. 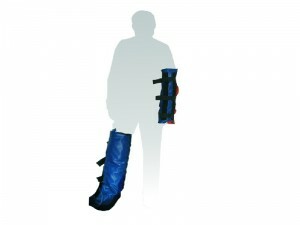 The bone splint should be put on a limb and tightened with fixing textile fastener (velcro strap). The vacuum pump schould be joined, closing of the inlet – outlet tap schould be tested and air schould be pumped until limb fixation, after that the injuree may be evacuated. To remove the bone splint inlet valve schould be opened. After pressure release in the bone splint fixing textile fastener (velcro strap) schould be released and the item can be removed from the limb. Bone splint product warranty period is 12 months.